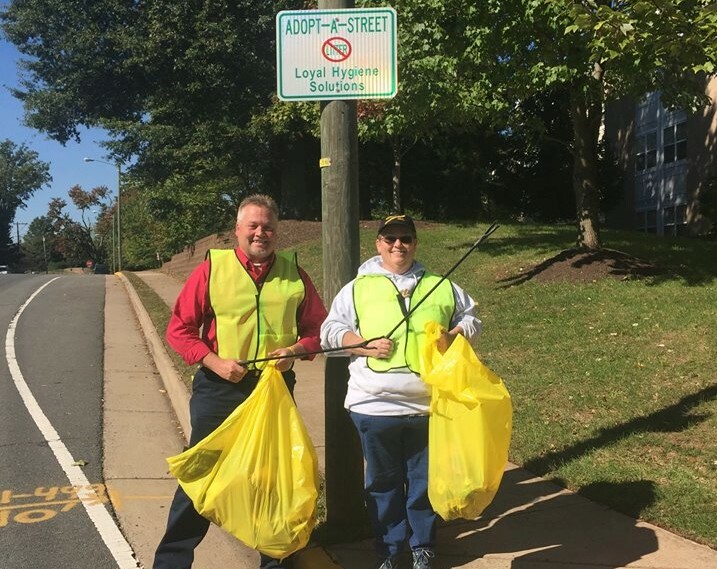 Loyal Hygiene Solutions team members again donned neon vests and disposable gloves to spend a morning beautifying a stretch of Quarry Road in Manassas, VA, as part of its commitment to the Adopt-A-Street program. “I’m proud that we have employees who are willing to lend a hand to make our community a better place,” said Tim Setzer, Loyal General Manager. Employees are able to take time off during the week to participate in the cleanups, a reflection of the value Setzer places on family time outside of office hours. Working together, the Loyal volunteers picked up two large bags of trash. “While it’s an ongoing task, I notice that we have a little less to do each time. We are making an impact through Adopt-A-Sreet,” said Setzer.